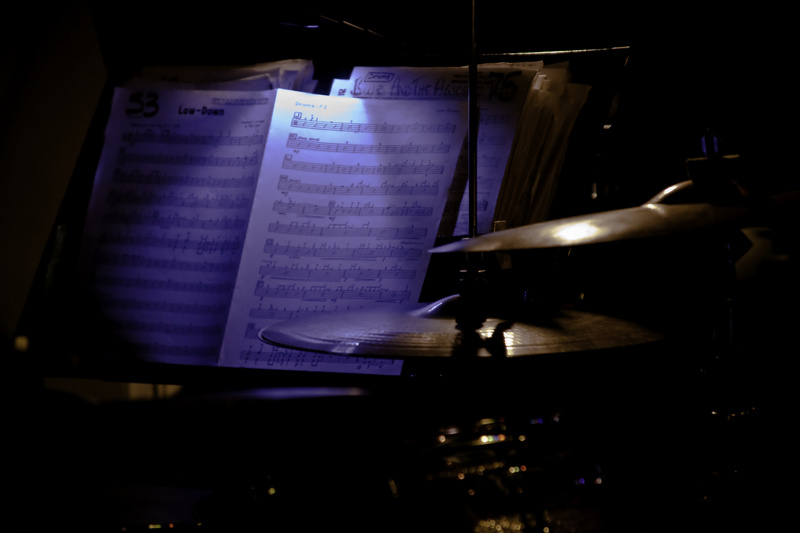 Taken at a Dallas area blues n jazz club called Pearl, the drummer was the most accessible of the 19 players. All the players had chart stands with lights. I want to return and get more shots since the lights really added a lot to the pics I did get. Travis, I really like your Drum Chart. The music, Low-Down, is probably not Boz Scagg's version, but the drums played a major role in his hit. The blue light adds to the easy jazz feel. A remarkable picture and I hope you do well with it. Thanks. the venue is very picture friendly since the stage is in the front corner with glass on both sides to a busy street corner. I was having focus problems that night..I had bumped the diopter wheel. I'm waiting on a 100mm portrait lens for my 50D. The 28-135mm is a little lacking. Seems a little soft. Lovely moody shot and the blue light across the music sheet sets it off, nice capture.